Technological innovations and healthcare have always worked together hand in hand. It's those breakthroughs that have helped conquer diseases, expand our understanding of medical knowledge and benefited millions of people worldwide. That trend will continue into the near future, with an entire suite of devices and other technologies shaping how healthcare is performed in 2017. "Technology plays a huge role in shaping modern healthcare." In recent years, the idea of augmented reality has become especially popular. Unlike virtual reality, where people are deposited into an electronic landscape, augmented reality simply adds components to the physical world. Most people may be familiar with AR via games like Pokemon Go, but as MedCity News pointed out, there are several startups working in healthcare. That includes companies like AccuVein, which has created a device that allows veins to be visually projected directly on to skin to help with drawing blood and other injections. Or RealView Imaging, which has 3D interactive holograms that will give doctors a handy way to track a patient's volumetric data. Similar to AR devices, the concept of the blockchain has also become increasingly popular over the last several years. Consider this to be an online public ledger for Bitcoin transactions, where everyone can track where the Bitcoins have been spent. It's that ability to follow the money, as it were, that has made the blockchain popular in several other industries. However, as Healthcare IT News explained, the blockchain is becoming especially popular in healthcare as a whole, with 55 percent of companies saying the blockchain provides strategic value. That's because these groups rely on the access and financial tracking capability afforded by the blockchain, especially when it comes to being transparent for the sake of patients. In December 2016, Healthcare IT News joined forces with HIMSS Analytics to uncover those technologies with the largest expected growth in 2017. Among those near the top of the pile is molecular diagnostics, which is another way of saying precision medicine. 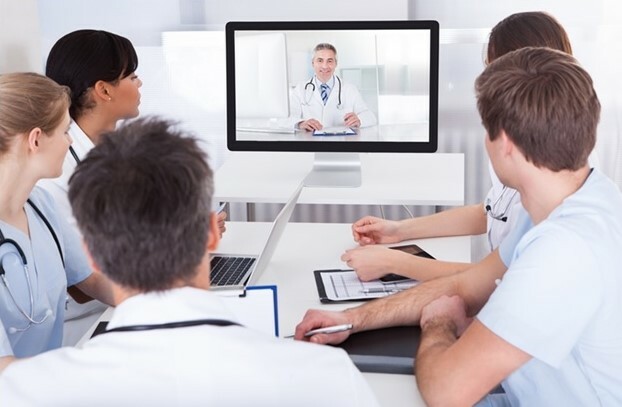 Per Healthcare IT News, one of the ways that this approach will impact hospitals directly is through the adoption of a "hub and spoke model," which involves greater use of technology to streamline staffing and better serve patients. There might also be more reliance on so-called hub hospitals, where people get routine tests done at a medical center that's not a local hospital. This increases patient access and helps ensure better overall outcomes. Sumit Puri is the CIO of Max Healthcare. Speaking with ETCIO, he explained that among the many technological trends impacting healthcare in the near future, he was most excited about predictive analytics. According to Hospitals & Health Networks, this system is a natural extension of the recent adoption of electronic healthcare records by hospitals and doctor's offices across the country. With all that data provided by the EHRs, doctors will be able to better treat patients either by knowing which ones will be more likely to be readmitted or will need extra care after surgery. These analytics can also help address personnel issues among hospital staff. Together, those components mean better healthcare that cuts costs by addressing issues before they become problematic.